Holiday in the Park is an annual magical event for all ages in Bonita Springs. Photo courtesy of Naples Daily News. Take the family to Germain Arena to cheer on the Florida Everblades ice hockey team during its 217-2018 season. The home schedule is comprised of nine Wednesday games, 13 Friday night games, and 14 Saturday games. 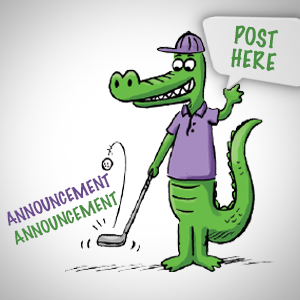 To find out more, go to floridaeverblades.com. 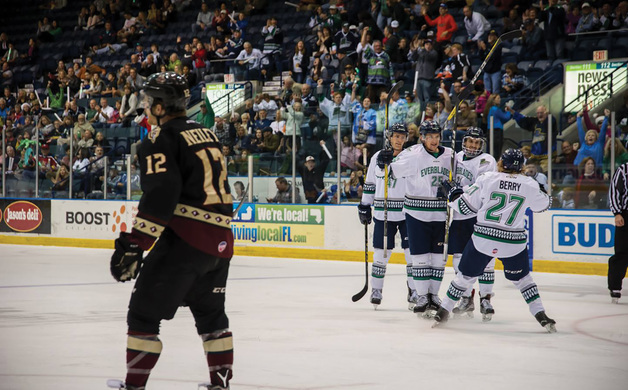 Take in an Everblades games at Germain Arena. Photo courtesy of the Florida Everblades. The 4th Bonita Springs Annual Short Film Fest Competition takes place this year on Thursday, Nov. 2, at 6 p.m. at Prado Stadium 12 Theaters. This year, the organizers have asked filmmakers to go back in time and create their magic around the topic “Historic Bonita Springs.” Get tickets at bonitaspringsfilmfestival.com/gala/. Palmira Golf Club and lifestyle community hold its Art in the Park arts and crafts show annually at the Renaissance Center Club in Bonita Springs. This year, the event will be take place on Friday, Nov. 10, from 10 a.m. to 1 p.m. Come see what the residents of Palmira have created, including items such as hand-knitted wraps, wine bottle candles, hand-painted glass jewelry and so much more! 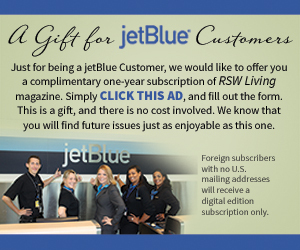 Call (239) 444-1185 for details. Get all your holiday shopping finished by checking out the more than 140 top designer and brand-name outlet shops at Miromar Outlets mall in Estero. Savings can be as high as 70% off retail prices. Shops are listed on the website: miromaroutlets.com/. 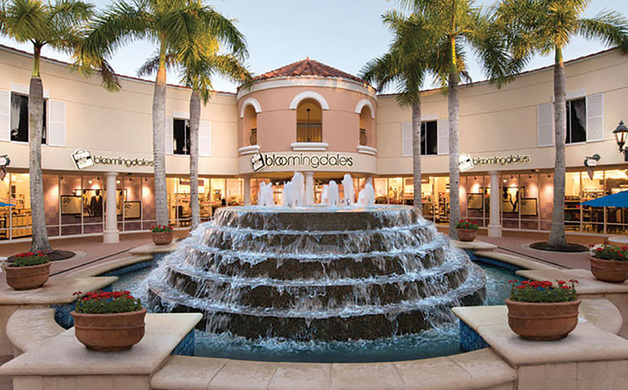 Miromar Outlets is where you’ll find gifts for everyone on your list. Photo courtesy of Miromar Outlets. City of Bonita Springs officials remind families that a “blizzard in the park marks a sunny December day each year in Bonita!” At press time, this year’s date had not been set; it’s always in the first week in December. Organizers note the “magical event includes a blizzard, a giant slow slide, snowfall area for kids, live holiday music, free holiday train and horse-drawn carriage rides, apple cider, cookies and more. All children ages 14 and younger receive a toy and a chance to meet Mr. and Mrs. Claus!” For info, call 239-949-6262. Mandy Carter is a local mom with a passion for family travel, a popular travel blogger including her own family blog at Acupful.com and the Digital Content & Engagement Editor for TOTI Media.